As many of you already know, my family spends a lot of time camping , hunting, and fishing. I'm always looking for new additions to our gear. I recently received something new to try out that I want to tell all of you about. It's the Portable Stainless Steel Wood Burning Camp Stove. This camp stove is completely portable, when disassembled it fits in it's little drawstring carrying bag. Seriously it can easily be carried in your backpack, it takes up very little storage space and takes only seconds to set up. 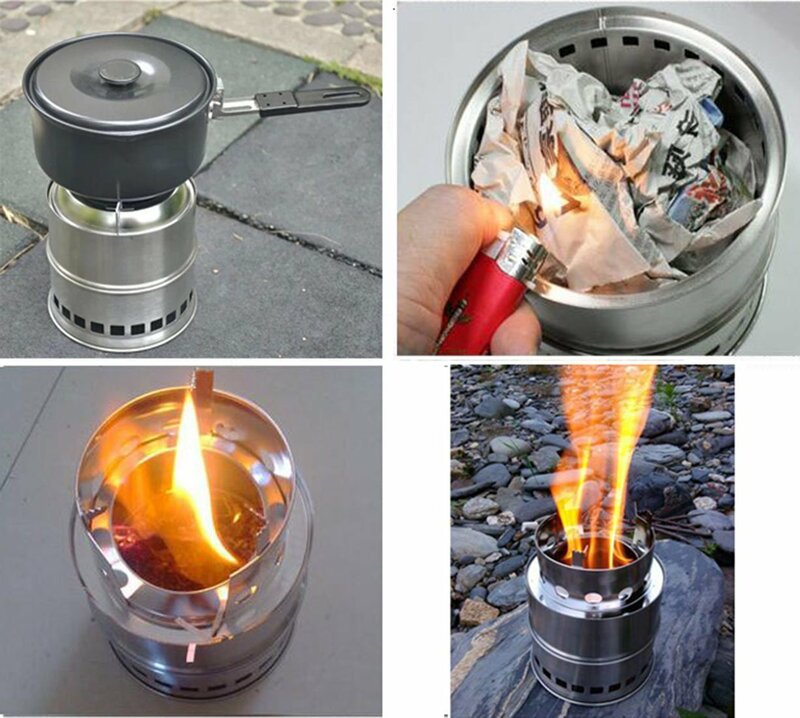 This camp stove is very environmentally friendly, no fuel canisters, no chemical emissions , or batteries. Just use what nature has laying around for you, twigs, leaves ,pine cones, and wood. 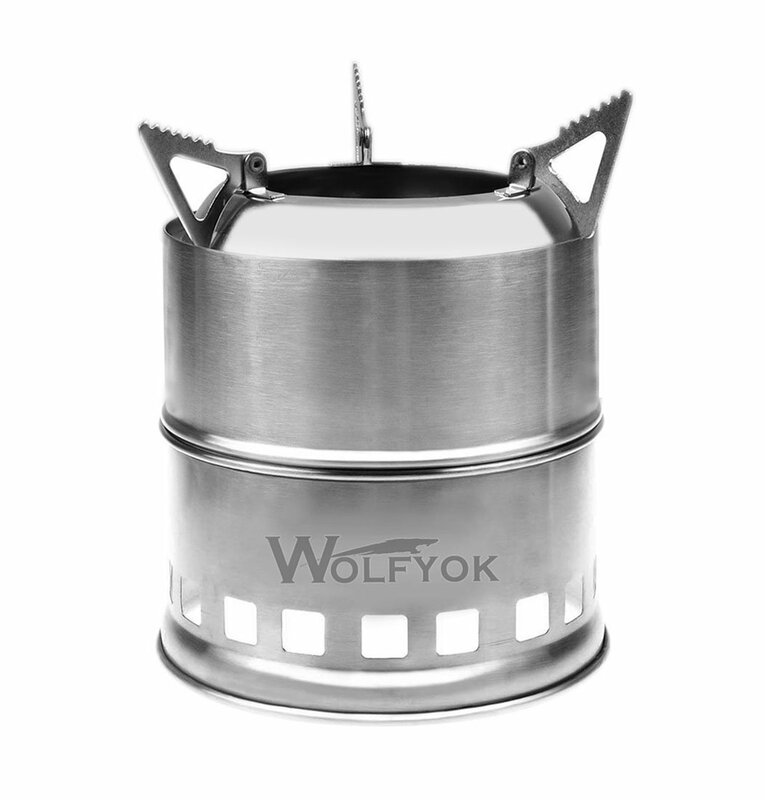 This Wolfyok Camp Stove is made of high quality stainless steel which makes it corrosion and heat resistant, plus it's sturdy enough to hold weight . It has a 3 -arm pot support for a sturdy cooking platform and allows for even heat distribution. This is a really nice camp stove to have, and I recommend it. What a great idea!A friend got a similar burner that is propane,but I far prefer this.Will scout one out.Thanks for sharing! Seems like a perfect thing to have in case of bad weather or an emergency.